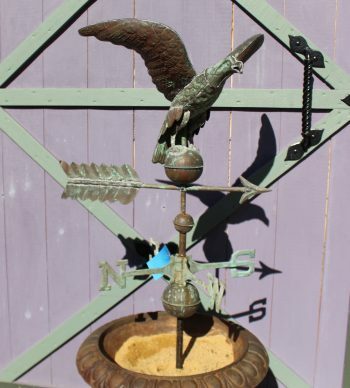 This eagle weathervane is was handed down through a local family so it is at least 75 years old. Original verdigris patina. Excellent condition.